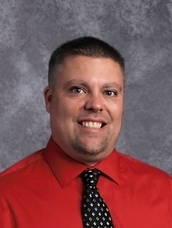 My name is Mr. Strub and I&apos;m the Associate Principal at Southdale Elementary. This will be my second year at Southdale and in the Cedar Falls School District. Before coming to Southdale, I was an administrator for the Gladbrook-Reinbeck School District for two years. Prior to Gladbrook-Reinbeck, I was a classroom teacher and Athletic Director for the Janseville CSD. My family consists of my wife, Katie, and two boys, Carver and Kyan. Carver is in second grade at Southdale and Kyan is in kindergarten at Southdale. We have a dog named Buddy. We enjoy spending time together as a family outside as well as watching Iowa Hawkeye and UNI Panther sporting events. I&apos;m excited for the 17-18 school year and the privelage of working with some of the best students and staff you will find. I look forward to helping the tradition of excellent education in our school and being of part of helping it grow even stronger. Please don&apos;t hesitate to give me a call or send me an email if you have any questions or concerns.